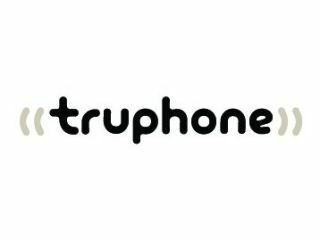 Mobile VoIP operator, Truphone, has re-jigged its pricing structure, lowering the cost of international calls made by mobile phone users over the internet using Truphone’s dedicated software. The company rather cheekily claims that it has “abolished” mobile roaming charges altogether, when in fact it’s only cancelled fees for receiving VoIP-routed calls. It’ll still cost money to make a call from abroad using Truphone, even though prices have been lowered. Still, if you’ve got a compatible phone and access to Wi-Fi then Truphone’s prices are indeed jolly cheap. In fact, compared to standard mobile international roaming charges, they’re an absolute steal. From today Truphone users will be able to call home from abroad for 3p per minute to landlines and 15p per minute to mobiles. Calls from some countries – such as the US, Japan and China – will only be charged at 3p per minute regardless of whether you’re calling a landline or a mobile phone. Better still, calls between Truphone users will be free. Truphone launched its mobile VoIP service in mid-2006. Users must be in possession of a compatible phone – currently limited to Nokia N-series and some E-series models – and be able to connect to the internet. The service also requires a Truphone software download. And unless the software is specifically activated, the user’s phone will continue to operate on its native operator’s charges, often through preferred partner networks. The move to cut prices comes as Ofcom is undertaking an investigation into mobile roaming pricing structures. The EU has also warned mobile providers that they may face sanctions if they do not drop their “rip-off” rates before July. It seems the days of telecoms companies being able to charge over a pound a minute to call home are numbered.